High performance bullets. Each powder is matched to load for optimum pressure velocity and consistency. 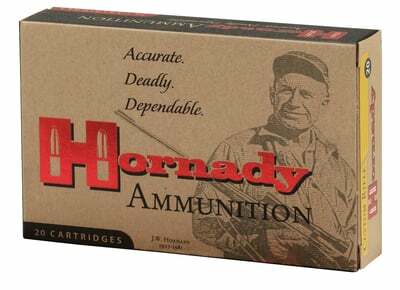 Much of the brass is made by Hornady, the rest carefully selected for reliable feeding, corrosion resistance, hardness and the ability to withstand maximum chamber pressures. Primers are chosen for their ability to quickly and consistently ignite the entire powder charge and are carefully matched to the load.